Our last couple of blogs have been all about efficiencies regarding your home’s external AC component: The AC compressor. If you read our previous blog, you saw that the best way to get cost-saving shade to your compressor is to keep it on the northern side of your home, but what if it isn’t there right now? If you’re thinking of moving your compressor, here are a few things you should know! 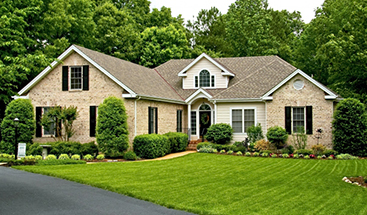 There are plenty of reasons that people want to move their air conditioning compressor, chief among them are concerns about the humming sound created by the compressor interfering with backyard living space or sleeping space indoors, as well as efficiency reasons. If you’re thinking of doing this for your home, it is vital that you never attempt this as a DIY job. To move the average compressor, there is a considerable amount of specialized machinery involved, including a manifold set, vacuum pump, plus tools for relocating an electrical box, reconnecting copper wiring, and capturing all freon in the pipes. If you’re hoping to take on this task, then you should know that without even one of these specialized tools, you could be left without air conditioning until a repair technician can make it out to your home, at which time you may be looking at a far more costly repair or replacement for the entire system; in fact, there are a few “worst case scenarios” that can lead to an entirely new air conditioning system, including coils and forced air system together – you don’t want to end up in that position. In most instances, homeowners realize they do not have the tools and experience necessary to do the job safely, and call a professional instead. 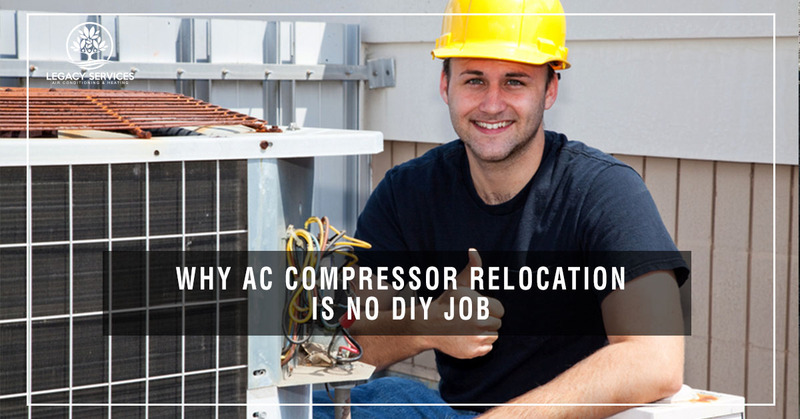 Even when you contact a professional, relocating your home’s air conditioning compressor can be a more involved process. For instance, your local city, municipality, or county may prohibit unpermitted movement of these systems, especially in the presence of freon or other hazardous refrigerant chemicals. Not all areas require city or county approval before moving on to relocation – especially if working with a licensed local air conditioning repair professional – so be sure to check with your local area before assuming either way. Another valid concern that many homeowners have is that the new location will not be as ideal as they believe. For instance, your home’s compressor may have been located at the back of your home during initial construction for very specific reasons that could be valid even today. If your new compressor location will be too close to a neighbor’s property line, for instance, then you may have to shell out for another move when and if your neighbor raises a complaint with the inconvenience to them. Likewise, the compressor is also often located as near to your home’s internal air conditioning technology, which means that a movement could be impossible or place undue strain upon your system. Be sure to take these and other factors into careful consideration before you move forward with a relocation.